During international breaks, there is always a void that needs to be filled. Fortunately this weekend, the 11mm Football Festival took place in Berlin, and all of the Bundesliga Diaries were present! 58 films from 24 countries were screened, approaching a variety of different subjects. From ‘Take the ball, pass the ball’, a film about Pep Guardiola’s Barcelona, to documentaries about amateur football, there was something for everyone. Throughout this 16th edition of the festival, we were able to speak to a number of people involved. We spoke to directors Tomáš Hlaváček (Stadion) and Chris Johnson (Daydream Believers), festival founder Andreas Leimbach, photographer Stuart Roy Clarke and podcaster Max Jacob Ost (Rasenfunk) about their thoughts of the event and its importance. The boys then speak about their own personal memories of the festival. 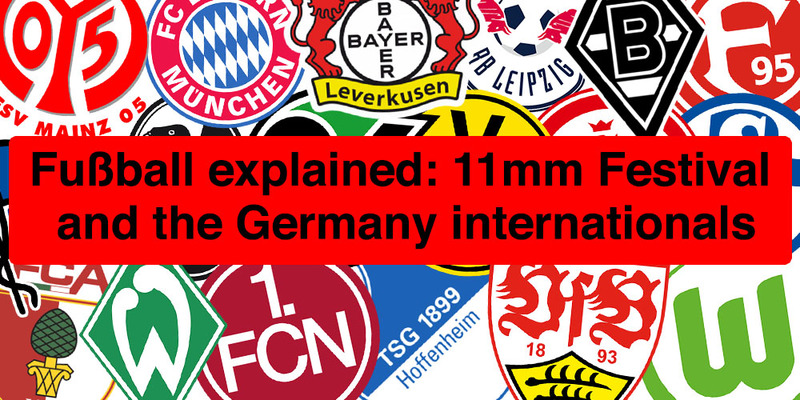 We also discuss the two Germany’s two international fixtures. Joachim Löw’s men faced Serbia, drawing 1-1, before beating the Netherlands 3-2 away.